One of the largest oil and gas exploration and production companies in the U.S. enlisted Coterie Spark to produce their Annual Stockholder Meeting. 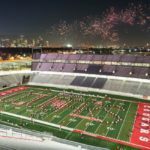 With this being their inaugural Annual Meeting to take place in Houston and a high profile event, Coterie Spark’s role was to facilitate a seamless transition to a Houston-centered event with a focus on detailed logistics. Throughout the planning process, Coterie Spark communicated with a committee consisting of multiple departments including General Counsel, Security, Marketing, Facility Coordinators and Executive Assistants to facilitate the Shareholder Meeting and served as the knowledge holder of all-encompassing information. Coterie Spark also aided in the planning of activities surrounding the Annual Meeting including Board of Directors meetings, spouse tours, executive dinners, volunteer training and various employee functions. In preparing for the Shareholder Meeting, contingency planning was of utmost importance. As required by law, attendees ranged from members of the general public holding a minimum of one share in the company, to their employees and the Board of Directors. An alternate location was required to ensure that given any circumstance, the meeting would take place and provide an open forum for participation. Also, with the meeting being new to Houston, the client was unsure how many shareholders would attend. To prepare for both scenarios, Coterie Spark had remote viewing locations available with transportation provided. Detailed planning was needed at each location in order to ensure all aspects were taken care of such as audio visual, signage, registration, security check points and the like. Producers from Coterie Spark oversaw and managed specific areas including transportation, registration, cell phone check, security, food & beverage, help desk, Board of Directors, overflow meeting space and the annual meeting room. 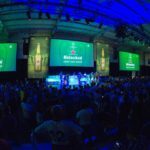 There were numerous components involved with the Shareholder Meeting itself, including precise coordination of the arrivals of VIPs to the number of guests in attendance to keeping accurate timing throughout the program. Real time updates regarding the movement, timing and orchestration of each element of the meeting was the key to the success for this fast paced program enabling both planners and shareholders to adapt to change at any given moment. 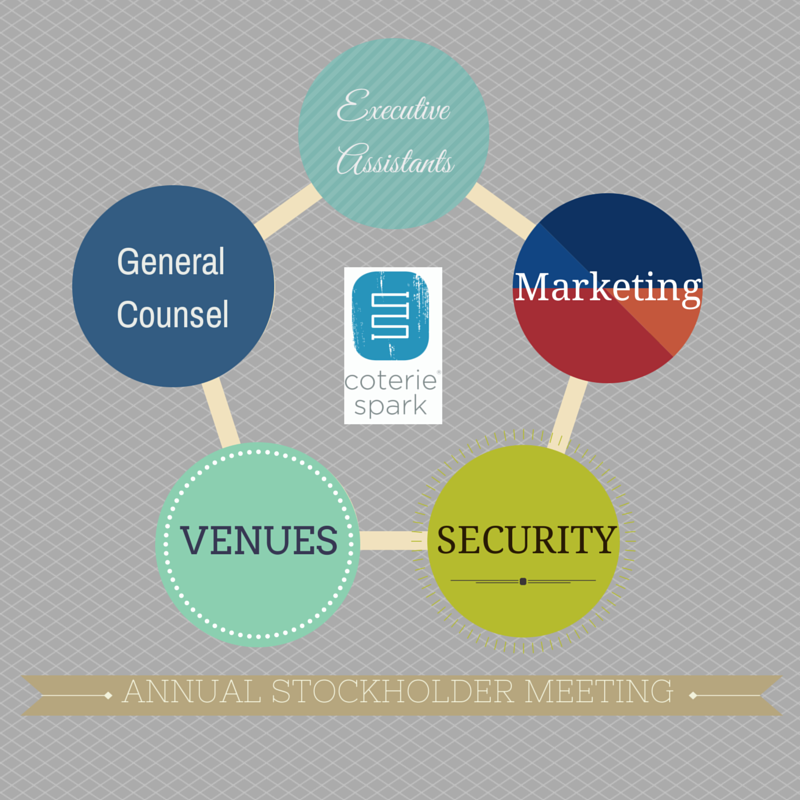 The Annual Shareholder Meeting was a success and Coterie Spark was engaged for the following year’s program.